Let’s face it, shopping for a health savings account (HSA) provider is an overwhelming process. Most providers can cover the basics and deliver HSAs that may check all your boxes but act more like a supercharged flexible spending account (FSA). The industry’s leading providers, however, are collaborating closely with employers to deliver game-changing insights and member enablement capabilities that are transforming how employers and their employees can connect health and wealth. So, what are these three HSA provider differentiators and what can they mean for employers and their employees? Leading HSA providers are moving beyond sharing anecdotes and customer case studies. These leaders are now prescribing benchmark and analytically-based program strategy and member enablement best practices specific to their experience with your industry peers. Are you getting this from your current provider? What insights and expertise, per experience with your industry peers, is your provider bringing to the table? 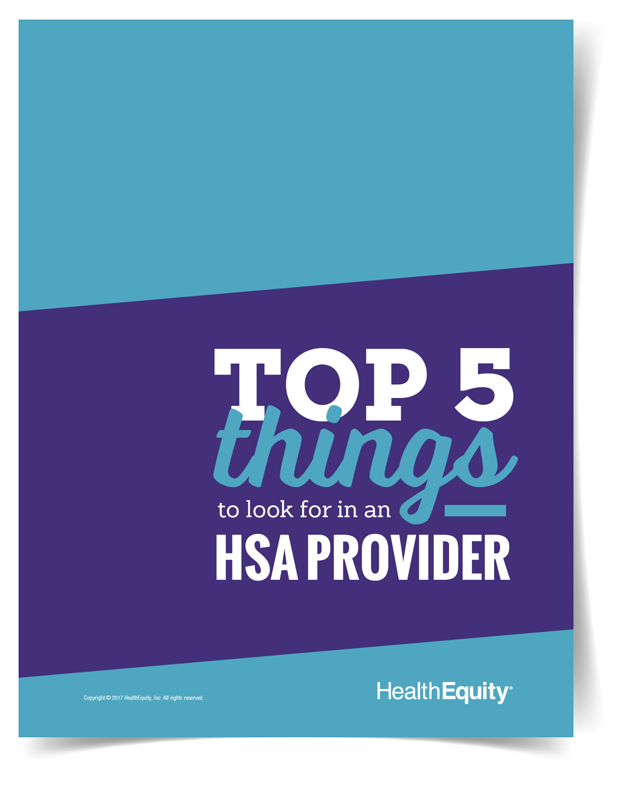 How is your provider working with you and your extended benefits team to adopt the most applicable of these best practices into your HSA program? How will your provider leverage these best practices to maximize the benefits you and your employees get? HSA providers who promote their ‘great service’ and tactical responsiveness as key differentiators are living in the past. Delivering great service is now about improving an already outstanding service by constantly sharing new insights and innovations – AND then seamlessly incorporating them to provide a better overall employer and employee experience. Provider minimum standards, such as 24-hour phone support, convenient mobile app and portal capabilities, while still a source of differentiation for many providers, are just the starting point. Is this what your provider views as the sum total of member enablement? 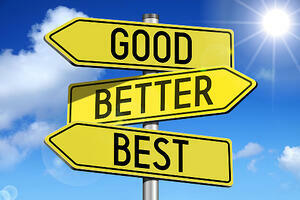 What is your current provider doing to deliver ongoing, personalized guidance to your employees? How is your provider delivering great service how, where and through the channel that each employee views as most useful to their needs? How are they learning about and adopting their service based on your employees’ needs? Member enablement is ultimately about delivering relevant, ‘nudge-worthy’ guidance to employees across timely and highly personalized service touch points. Doing this right helps employees become savvy health savers who use their HSAs to cover their costs now, while methodically building significant tax-advantaged savings for the future. The lineup of customer centric features among providers has reached a degree of cost parity in terms of plan construction, but the weight of enablement and insights is becoming a much more valuable long-term proposition. What is the personalized guidance to your employee’s worth to you as an employer? When evaluating providers, do the insights and enablement carry more weight than simply lower plan costs? Choosing a provider that is focused on delivering an outstanding HSA service to you and your employees, including access to helpful features and low fees, is still critical to the success of your program. Unfortunately, in today’s competitive environment, these capabilities are increasingly necessary, but not sufficient. Leading providers are changing the game through the use of benchmarking and analytics that gives employers greater insight into how they can better deliver organizational and employee outcomes. These providers are then working with employers to turn these insights into programs that adeptly combine education and continuous, personalized member enablement to help families save now while building long term savings. The game has changed. Game on. To learn more about how to take advantage of the many other benefits that HSAs provide, visit www.healthequity.com/HSAlearn.